We understand the star of this ad being a mouse – mice, after all, eat cheese. (For all we know they like a nice bottle of wine every now and then, too.) 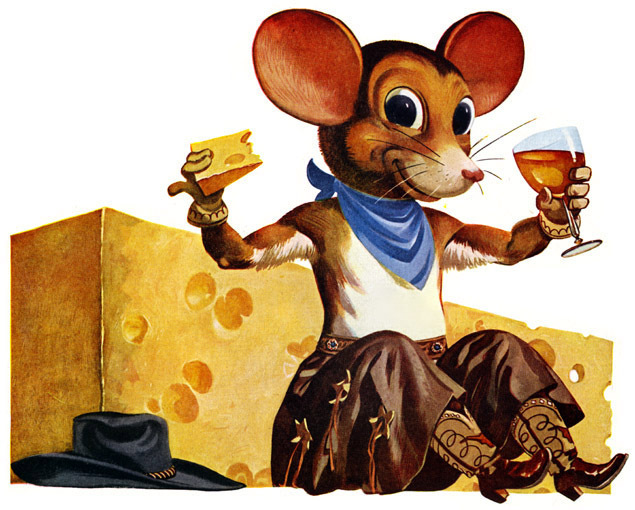 But why the mouse is wearing chaps and cowboy boots is one of those mid-century mysteries beyond our power to solve. If anybody knows, we're waiting for the Western Union boy to arrive with your telegram. Here's the prequel.